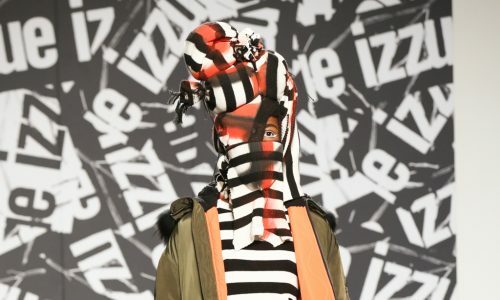 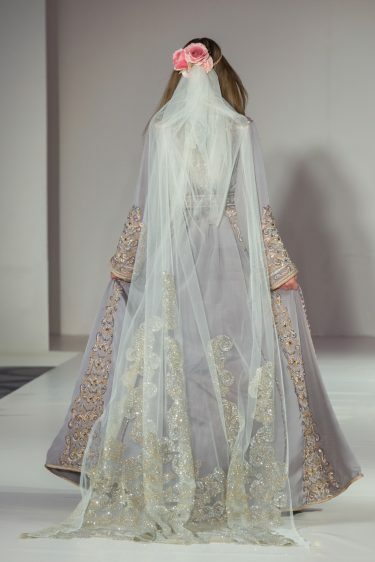 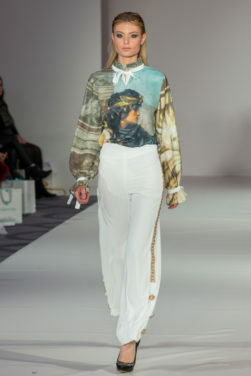 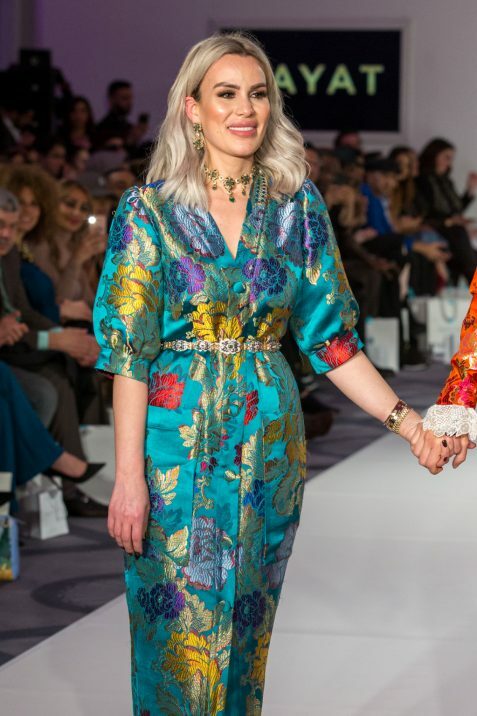 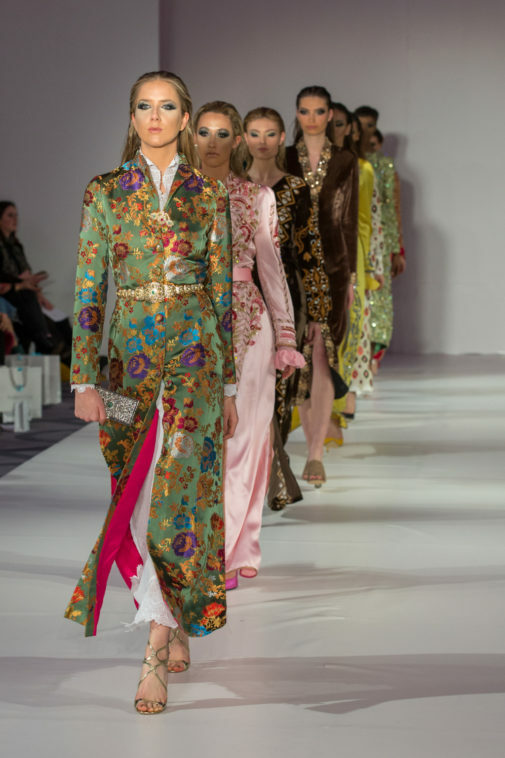 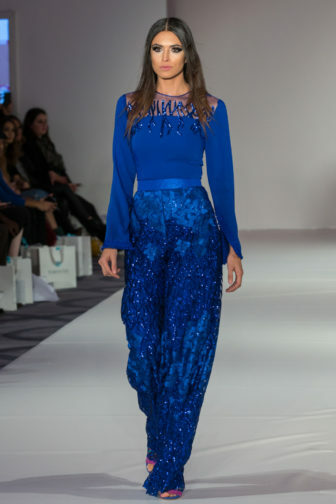 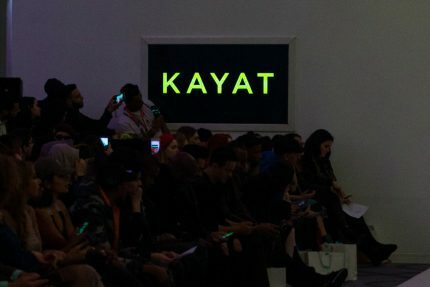 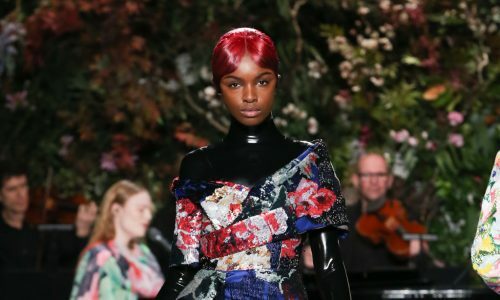 Celebrating some of The Middle East’s finest fresh talent, Stories From Arabia’s autumn/winter 2018 collections were, in typical Arabic fashion, nothing short of luxurious, opulent, and extravagant. 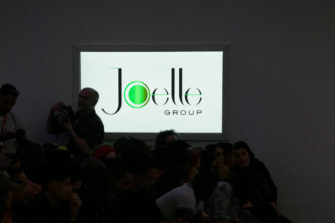 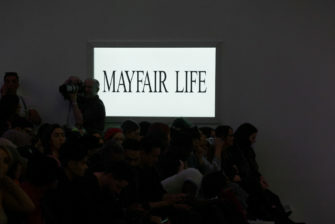 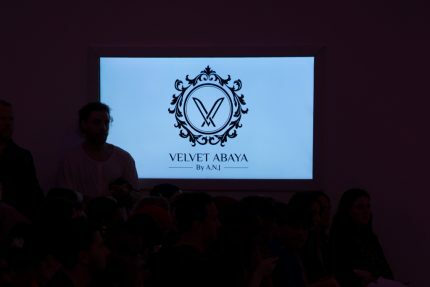 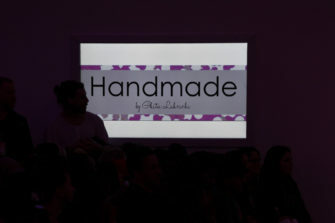 In the extensive catwalk show, Velvet Abaya was the first of eight designers to kick start the spectacle. 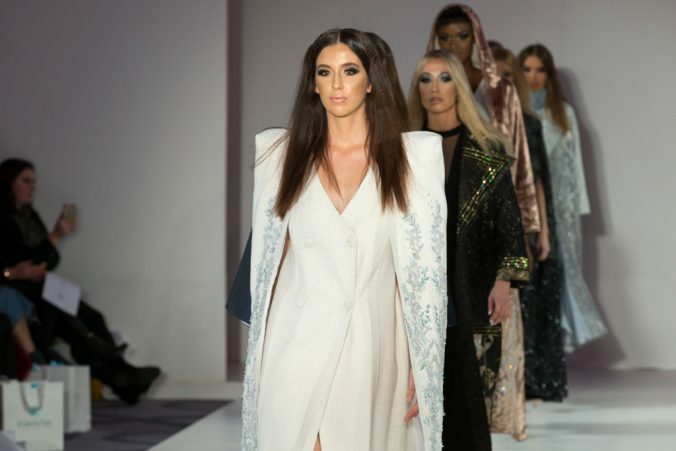 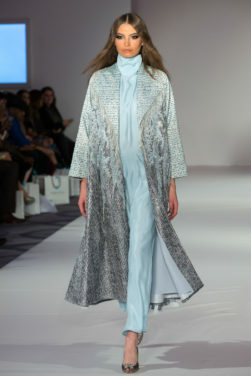 Graceful ice queens descended onto the runway in elegant gowns, shrouded by sweeping cloaks in wintery ivory, coppered velvet, and chilly mint green, all dripping with cascading crystal formations. 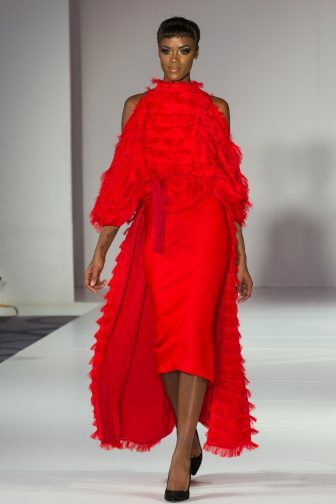 Disrupting this fairness and light was a model who stormed down the catwalk in a billowing black cloak, framed with dramatic, structured ruffles. 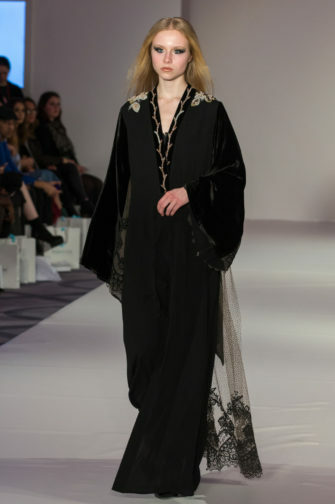 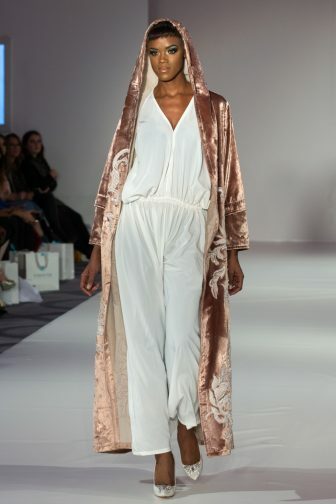 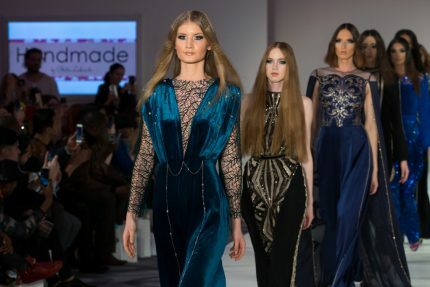 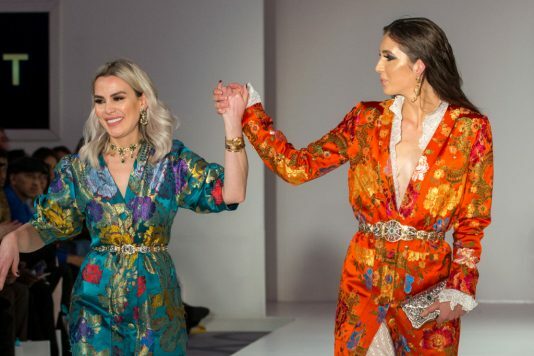 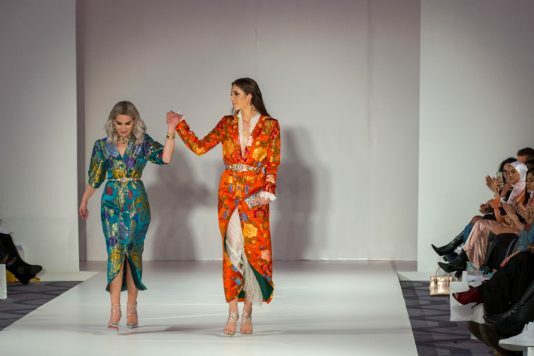 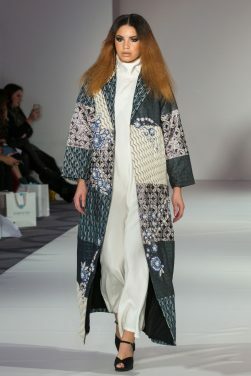 Velvet Abaya’s collection was followed by the striking elegance of Handmade by Ghita Larichi, who evoked pure couture with her series of jumpsuits and slinky wide-leg trousers. 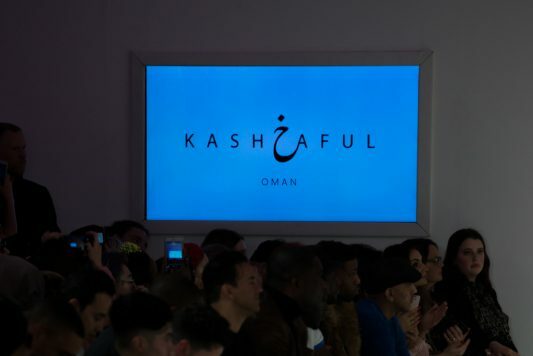 On the other hand, Ahmed Albalushi’s label Kash5aful was more minimal than that of his peers. 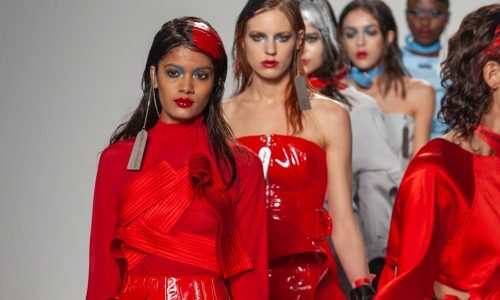 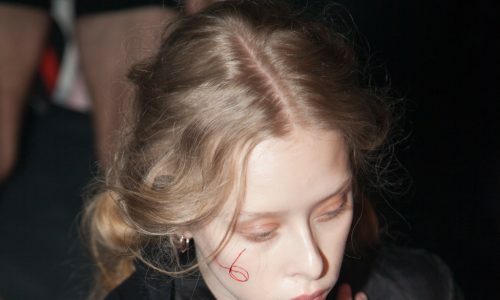 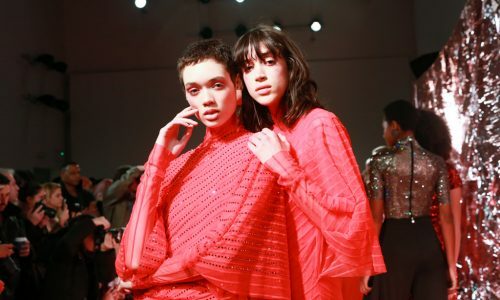 Little black dresses, geometric cuts and clean lines with no embellishment directed the focus to the shape of garments, where sharp pleats and contrasting belts took centre stage. 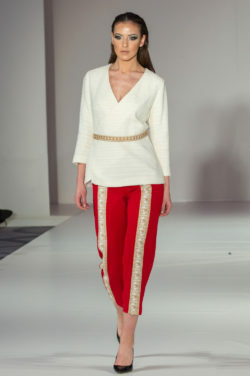 A colour palette of black, white, red and beige kept the tone neutral. 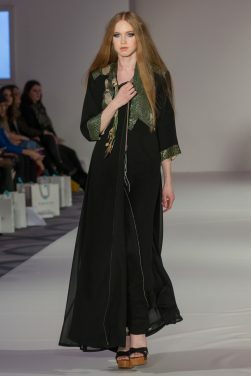 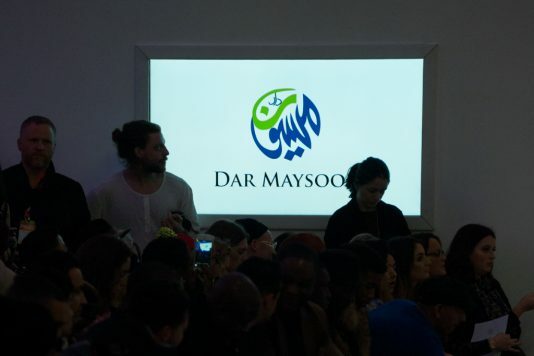 Crushed velvet was the fabric of choice for Dar Maysoon’s dramatic robes, which were mainly black, but were accompanied by an opulent jewel teal. 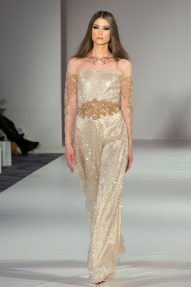 Simple fringing and lace details added a touch of enchanting romance. 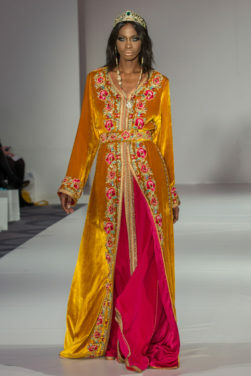 At Kayat, vibrant oriental brocades in sunshine yellow and lustrous satins were pure opulence. 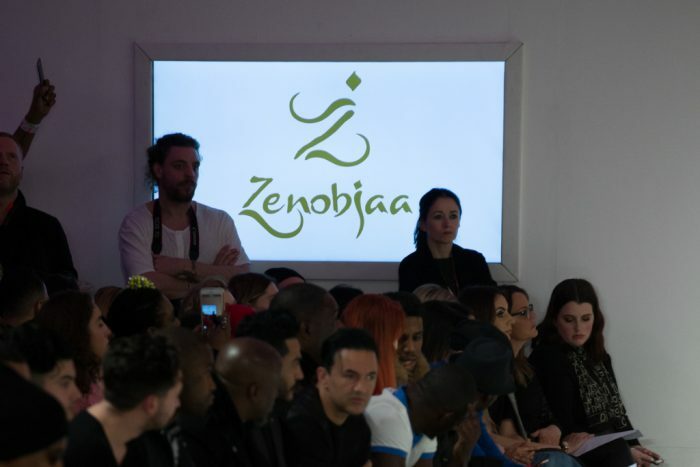 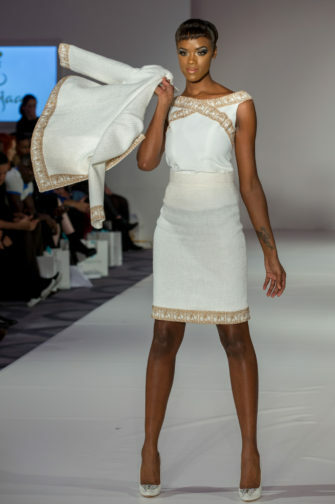 Meanwhile, Zenobia’s contemporary cuts took inspiration from various archaeological sites such as the Hanging Gardens of Babylon and the Temple of Baal. 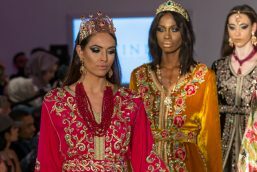 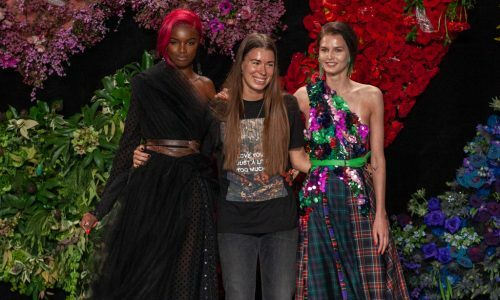 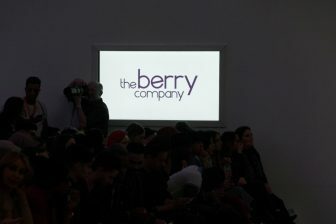 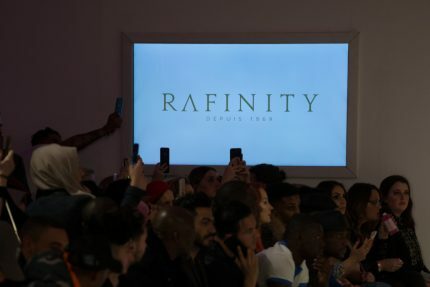 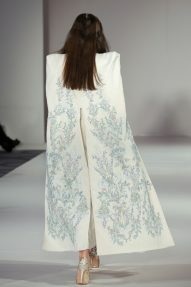 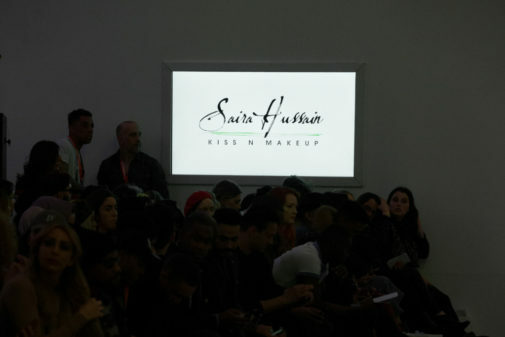 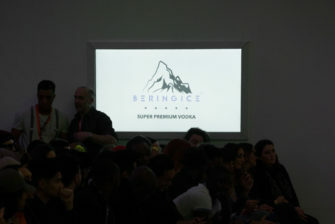 Morocco-based Rafinity Couture’s collection was a particularly memorable highlight. 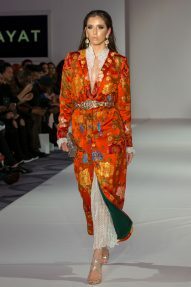 Exquisite caftan gowns in cerise, scarlet and tangerine were adorned with gold trimmings of decadent embellishment. 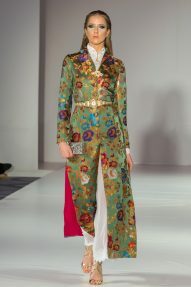 Texturally rich velvet in mustard yellow, burgundy and forest green put an emphasis on the label’s affinity with divine luxury. 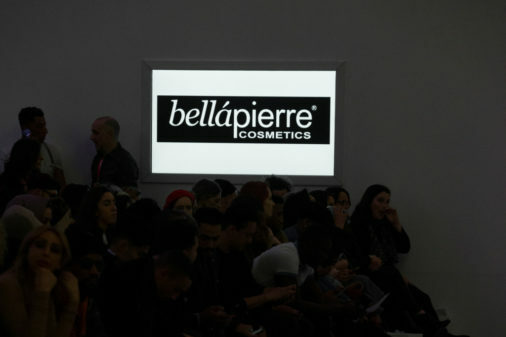 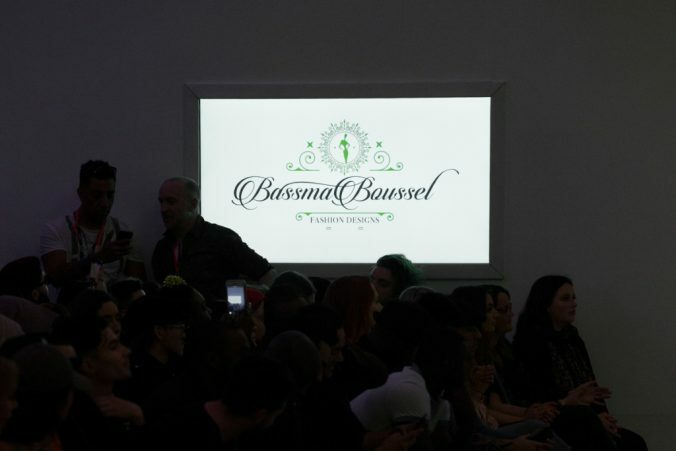 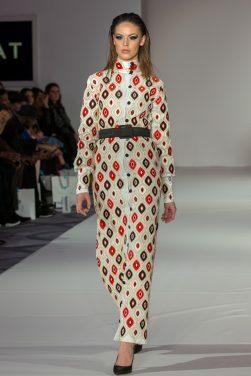 Closing the show was Bassma Boussel, whose red carpet-worthy monochrome gowns were a refreshing contrast from its predecessors. 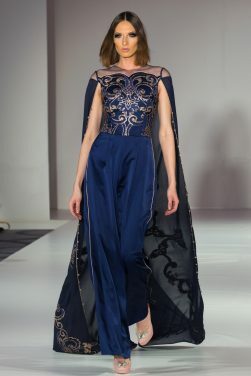 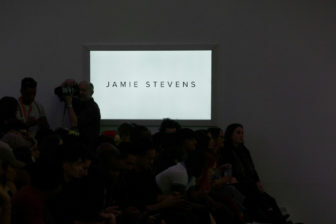 Sleek, polished and alluring, each piece featured provocative cut-out features and daring thigh splits.